As everyone was sort of expecting, the much anticipated OQO 02 has been announced and is available for preorder at Dynamism. 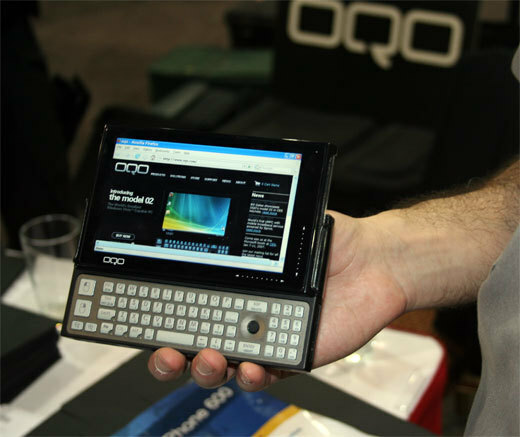 The OQO 02 is still the world’s smallest fully-featured Windows XP machine. This exciting new device also features a 1.5GHz processor, 1GB RAM, 60GB HDD, integrated EV-DO wireless broadband, active digitizer touch screen, touch-sensitive scroll-area, and ultra bright outdoor-readable 5″ TFT.